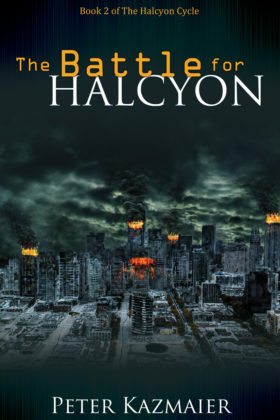 In The Battle for Halcyon, we follow the struggles of Dave, Al, Pam and Floyd with their Hansa allies as they work to stop Meglir’s army and find a way to return Halcyon home to its own space-time. Surprising new facts about the continent of Feiramar, her peoples, and her history unfold. A new menace, in league with Meglir, threatens from the east. Will Halcyon continue to follow its program of tyranny to establish a secular utopia? Can Meglir be defeated? Can the island of Halcyon undo the dislocation and return home? Book 2 of the The Halcyon Cycle series.